Attention all golf travelers!!! In case you weren’t aware, Lexington, Kentucky is currently becoming one of the most popular golf destinations for many golf groups located in the Northern vicinity of this beautiful area. With growing popularity it is wise to plan your trip well in advance, to take advantage of this great Kentucky golf destination. Lexington golf will provide great golf, to go along with a great value. Enjoy great Bent grass golf at over a dozen great area golf courses, to go along with multiple excellent lodging options from hotels to villas. One of the great golf courses that the area features is Old Silo Golf Course located just east of Lexington in Mount Sterling, Kentucky. Just to hit on some golf course highlights. Old Silo has been the top rated golf course in Kentucky by numerous publications. Course designer and Champions Tour Player Graham Marsh brought Old Silo in to existence in 2000 and it was his first course design in North America. With 18 holes of championship golf, the golf course is well placed on 209 acres of rolling bluegrass countryside. With Somerset Creek meandering through the property and lots of elevation change help create dramatic views that just add to the aesthetic beauty of the golf course. The great 6,000 square foot clubhouse offers outstanding panoramic views of the golf course from the balcony. The golf course also features four sets of tees, that range from 5,509 to 7,009 yards and is designed to accommodate golfers of all skill levels. To go along with superb golf, the top-notch restaurant and event facility, make Old Silo much more than just a golf course. In catching up with Old Silo owner Stephen Howard since 2007, he was able to provide some insight to the golf course and the local area as well. Stephen talked about holes 6 and 16 that are two of his favorites on the golf course due to the great hole layouts and both running through the majestic valley that The Old Silo sits in, providing awesome elevation change. His best tip for playing Old Silo are to make sure you hit the ball straight or you can get into a lot of trouble when getting into the out of play areas. 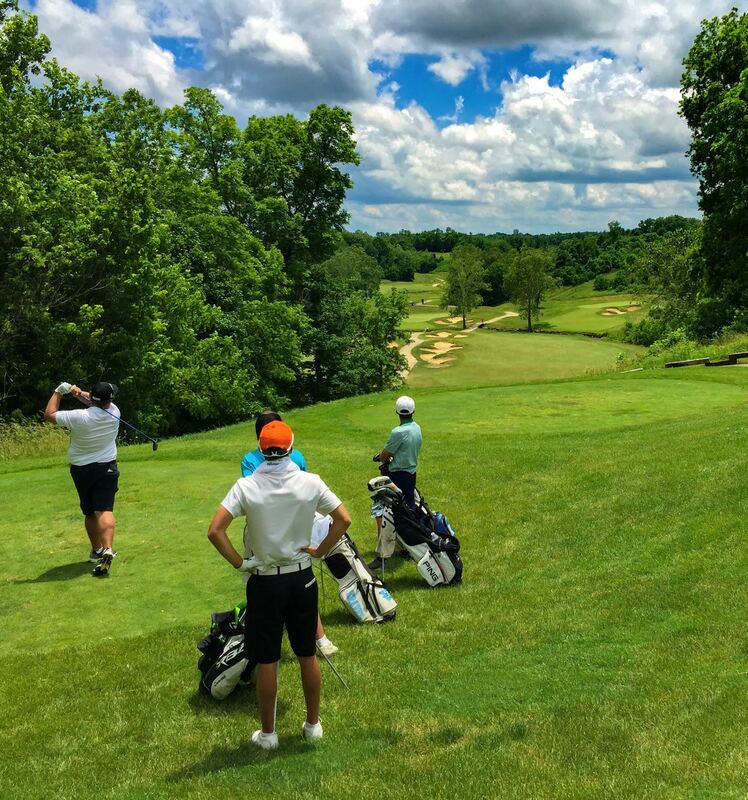 One of the things that Stephen feels help Old Silo stand apart from other courses in the Central Kentucky area is that it is definitely the most scenic golf course in the area and creates a truly memorable golfing experience. When Stephen was asked about other golf courses that he really enjoyed and recommended to potential golf travelers to the area, some of his favorites outside of Old Silo, include Big Blue at the UClub, Kearney Hills, and The Bull. Stephen’s advice on things he would recommend or suggest checking out in the Lexington area would be, Keeneland(Horse Racing), Malone’s Steakhouse, and the Bluegrass Bourbon Tour. You can see there is much to appreciate about Lexington area golf and Old Silo is definitely one of the golf course that should be included in anyone’s must play list. Golf Digest – Top 10 Golf Course Public and Private since opening in 2000 including #1 privately- owned, public every year. Golfweek – Named “Best Course You Can Play” Top 5 since 2007�including #1 position since 2014.